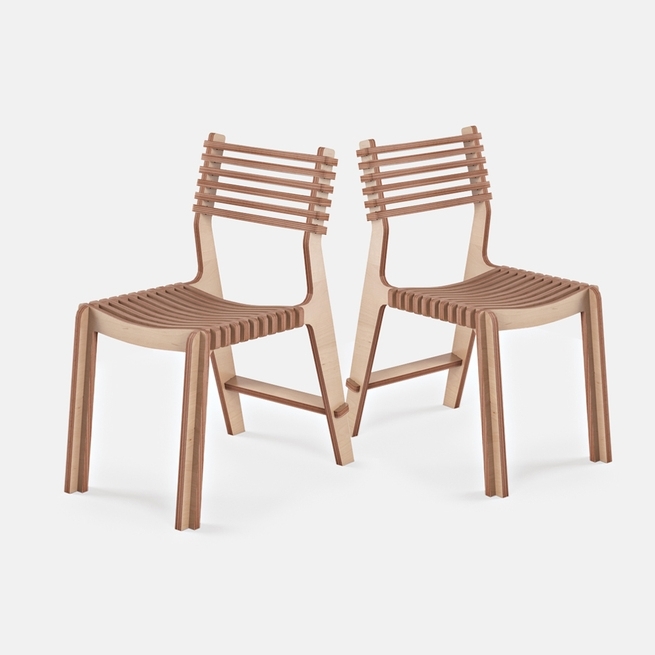 The Valovi chair is a unique slotted chair design that uses only friction to stay together. It arrives flat and is pressed together in minutes. No bolts or glue are needed at all. The Valovi chair was designed by Dennis Fuzii.